The KingsPointer Magazine (quarterly) announced our book, THE ANSWER TO CANCER: A SIMPLE SOLUTION FOR THE WESTERN CONDITION. Page 20 of the Winter 2015 issue of the KingsPointer Magazine listed Theodore L (Ted) Whidden, KP Class of ’85 as a featured author. Theodore L (Ted) Whidden is the founder and funder of www.TheBrainCan.com (a brain/health recovery website), founder of ancient research group located at www.SolomonSeries.com, and author of a number of books and projects including THE ANSWER TO CANCER: A SIMPLE SOLUTION FOR THE WESTERN CONDITION and CO2 AND YOU: A RELEASE FROM ALL SICKNESS. Ted Whidden is rolling out a series of books on natural correction of the human condition. In “THE ANSWER TO CANCER” book Whidden uses his own loss of immune situation which lasted 2 years to address common denominators of sickness. This book was written and launched early from a point of darkness in the medical condition of Whidden. It was the belief at the time that if/when launched it would be so radically sensational that the “rest” of Whidden’s healing and the healing of others would come. Whereas not the best of Whidden’s work, it is effective in healing and reaching the masses. This book in its original form is in limited supply. By identifying the common denominators of virtually all sickness Whidden provides a “silver bullet” approach to body reconciliation and recovery. To begin with Whidden establishes what he has called the “Western Condition” which is a condition or set of circumstances common to virtually all illness. By solving the Western Condition virtually all sickness is eradicated. 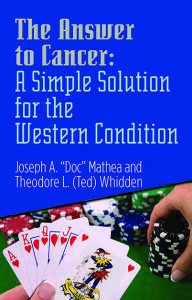 The auto-immune correction approach outlined in the book helped Whidden overcome a life-threatening situation and has helped countless thousands since the plan was released in book form at www.TheBrainCan.com . Whidden has been involved in “edgy” projects for quite some time. Whidden graduated in 1985 from the United States Merchant Marine Academy, Kings Point, New York 1985 with a B.S. in Nautical Science/Marine Transportation. From there he went in to an experimental flight unit for the U.S. Navy called, OSAM-NFO. Moving on from there Whidden became affiliated with Naval Intelligence via CINCUSNAVEUR (Central Intelligence U.S. Navy Europe). While involved with Intel forces, Whidden taught UCMJ (Uniform Code of Military Justice) classes per U.S. Navy protocol. Whidden reverted to a shipping career while serving the U.S. Navy in the Persian Gulf. Ships, shipyards, and shipping took Ted Whidden all over the world allowing him to live, work, and travel in more than 70 countries globally. This experience opened the door for a wide array of consulting opportunities as a problem solver for physical and financial (fiscal) issues within industry. Whidden completed his MBA through a special “Oil and Gas Industry” program via the University of Houston, Victoria, Texas, while fulfilling consulting services in Europe for Enron and General Electric. Ted Whidden has served in a multitude of capacities representing major corporations against underwriters (insurance), representing insurers against corporations, has been involved in many high profile cases as insurer, broker, adjuster, plaintiff, defendant, and made an effort to move around and sit at every seat around the table of large international litigation issues. A rounded perspective seeking truth while respecting the position (and perceived position) of each around the table gave a unique ability to address and resolve large financial disputes. Following the accident that re-routed Ted Whidden’s world he became more deeply involved in HBOT (Hyperbaric Oxygen Therapy) by developing his own equipment, equipment design, and new protocol. The application of conventional approaches failed to produce the effects that a layered system with modified protocols could produce. Whidden introduces some of those early ideas at his site, www.TheBrainCanRecover.com . 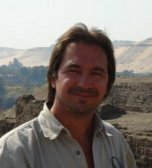 As a “hobby” of sorts Ted Whidden began actively seeking answers through pursuits in Biblical Archaeology while compensated by Middle Eastern Oil gas projects behalf of Lloyds of London. Whidden pursued a PhD in Theology on two different occasions in connection with Biblical Archaeology pursuits, but discoveries contrary to convention precluded endorsement under thesis processes of corrupted university systems. Core to Whidden’s personal recovery and the restoration of the human condition is the historical studies of the ancients, ancient healings, and approaches as outlined in the most profound Text in the world. In this and other web presentations Whidden shows an actual approach used to bring down a multi-billion dollar NASDAQ traded corporation on Fraud charges. Following onwards Whidden has been invited to engage several other Civil Rights and U.S. Constitutional issues. Whidden continues recruiting and engaging legal associates to address worthwhile issues. An upcoming book release will show how Fraud and Fraud can work for or against a person in our modern system of injustice. Whidden presently seeks quick resolution to convoluted processes uses simple, direct approaches with undeniable results. The plan is to continue to roll out products and projects that help people to simply and efficiently resolve real life issues. The search term “Breast Cancer” or “Breast Cancer Awareness” is not likely to draw much attention, likely because there is much chatter, but not so much action. There are groups claiming to have or be interested, when really some are trying to keep their organization strong, rather than helping the woman. We do not need strong organizations to address Breast Cancer. We need a simple solution that reaches many. 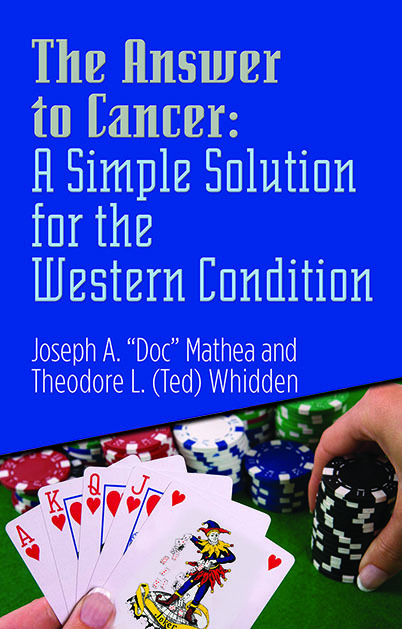 In our book, THE ANSWER TO CANCER: A SIMPLE SOLUTION FOR THE WESTERN CONDITION is a source to address all cancers and sicknesses.